Sankritilaya is pleased to announce Fall 2009 concert tour by the Hyderabad brothers, Shri Seshachary and Shri Raghavachary, accompanied by Shri Nagai Sriram on the violin and by Shri J. Vaidhyanathan on the Mridangam. The renowned Hyderabad Brothers, Shri Raghavachary and Shri Seshachary, hail from an orthodox family. They underwent a systematic initial training from their father, Sahitya Vidwan Daroor Rathnamacharyulu and their mother Sulochana Devi. They later perfected the art under Vidwan Susarla Sivaram at the Government College of Music and Dance in Hyderabad. They complement each other in knowledge and have voices that blend. Their phenomenal success is due to their grip over Shruthi, Laya, and Sahithya Bhava, in addition to the rich and varied repertoire they have. 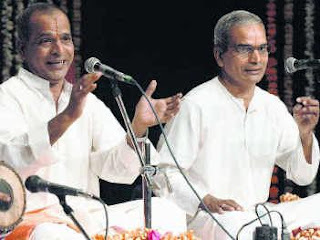 The brothers also perform solo, particularly for All India Radio, but believe that their complementary skills and voices produce music that is invigorating and exciting. They have toured all over the world and have to their credit, numerous commercial recordings that are a popular favorite at record stores. The brothers were nominated as the Asthana Vidwans of the Kanchi Kamakoti Peetham and are they recipients of several awards. 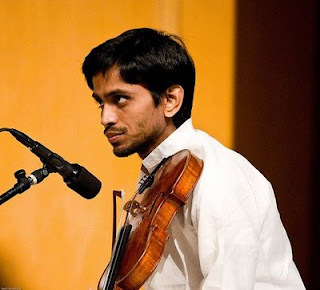 Shri Nagai Sriram is a youngster who is a much sought-after violinist today. He initially trained under Smt. R. Kamalavally and, later under his uncle Shri. Nagai R. Muralidharan. He has accompanied many stalwarts in Carnatic music has several feathers to his cap in the form of awards. He is a recipient of the Best Violinist award from the Music Academy, Chennai for six consecutive years. 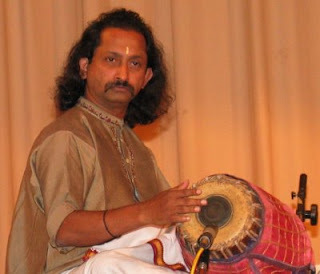 Shri J. Vaidhyant han hails from a Family of Great Musicians. He is the son of Legendry Musician "Sangita Kalanidhi" Shri.D.K.Jayaraman and Nephew of "Padmavibhushan" "SangitaKalanidhi" Smt.D.K.Pattammal.He is the disciple of "Sangita Kalanidhi" Maestro Dr.T.K.Murthy. He has accompanied Great stalwarts Like "Bharatratna" Smt.M.S.Subhalakshmi, Semmangudi Srinivasaiyer, Smt.D.K.pattammal,Lalgudi Sri G Jayaraman, Sri S Balachander, Smt.M.L.Vasanthakumari and many other great Stalwarts. Shri JV, a he is affectionatley known, has travelled widely in India and Abroad. He is the youngest Mridangist to get the prestigious "Kalaimamani" award from the Government of Tamilnadu in 2006. The concert tour will run from September 2009 to November first week or so and the final schedule will be posted here soon once we have the full itinerary.